Something from my bar whenever I feel like it episode CLIXsteemCreated with Sketch. Something strange to hang on the wall for today. 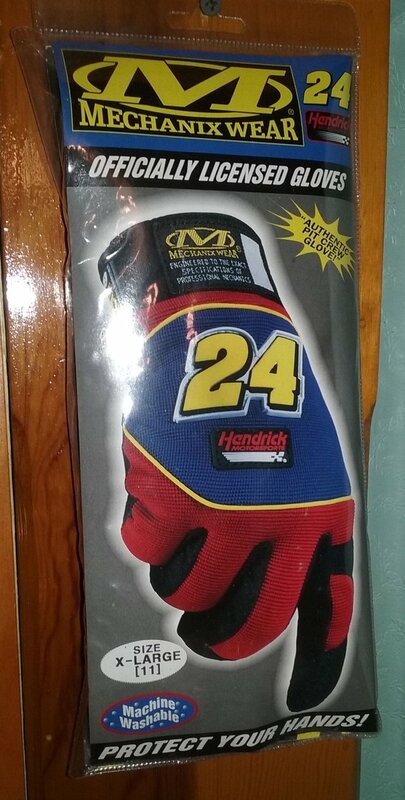 I couldn't figure out what to do with this pair of Jeff Gordon mechanic gloves when I got them. One day after I had my display wall built I noticed a bare space on the beam next to the case. I grabbed a screw, put it in the wall, and hung them on it. They have been there ever since.